Florida Housing Finance Corporation awarded Housing Credits and SAIL funds to Rural Neighborhoods as the developer of two critical workforce housing projects in the Florida Keys. The $12.1M Dockside at Sugarloaf Key and $21.2M The Landings at Sugarloaf Key will offer 28 and 60 newly-constructed units to Lower Keys households earning up to 120% of AMI. The rental communities are just south of Hurricane Irma’s landfall and mark RN’s geographic expansion to this difficult-to-develop area. “Tourists enjoy the Key’s unmatched natural resources but those who live and work there – from restaurant cooks, hotel housekeepers, to EMT personnel – are overcrowded and rent overburdened, that is, if they can even find a place to live,” said Steven Kirk, President. Rural Neighborhoods regularly sees large numbers of Homestead-Florida City’s immigrant community traveling from the mainland to the Keys each day to take part in that area’s service jobs. “To us, building livable places means building a home near the place one works,” Kirk stated. 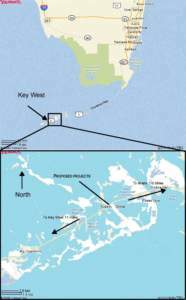 “Sugarloaf Key offers working families a reasonable commute to Key West or Marathon. The projects now enter credit underwriting and permit approvals toward a target occupancy of late 2020.